Fresh off the Fermented Food Press! Never miss another update, recipe or special offer from the Fermented Foody again! All content on this website is the result of personal experience and research. Sarah Jackson is not a medically trained doctor. If you have any health issues or questions, please always first seek the advice of your own medical practitioner before making changes to your diet. All images are either the copyright of (or licensed to) The Fermented Foody. Please do not take isolated images for re-use from this website. Thank you for sharing the posts from this website across your social media channels. It's very much appreciated. There are many foods that do this job for us, but today I’d like to focus on phytochemicals, also referred to as phytonutrients. These are biologically active compounds in plants and fruit; compounds that are a plant’s chemical defence mechanism. Pesticides damage a plant’s ability to produce phytochemicals to their usual level. Another good reason to choose organic fruit and vegetables where possible. Check here for the easiest way to decide which to buy organic and which are safest to buy without choosing organic. Whilst phytochemicals are as significant as vitamins and minerals, our health does not depend on them as much as it does vitamins. 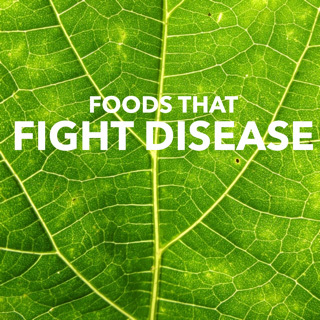 Although they’re are not classified as a nutrient, they do play a vital role in our body. Amongst other characteristics, they give food it’s aroma, taste and colour. There are 10’s of 1000’s of phytochemicals in existence and, as a species, we have only scratched the surface in their discovery. Over 100 have been identified. They vary in type. We’re unable to store them, so we need to keep replenishing supplies by eating foods rich in these important part of our diet. In general, these compounds are known to be disease fighters and also believed to promote good health. With so many potential health benefits, as I mentioned earlier in this article, it’s another big tick for including plenty of organic plants and fruit into your daily diet. Choose variety. The colours of the rainbow. Regularly change the foods you buy. Work your way around the shelves, and ensure that you are taking in vitamins and minerals from a wide variety of foods. Remember also to eat some raw food daily, be that in the form of a salad, fermented food or just peeling and eating the food as it comes. Natural, fresh food is so much more delicious than anything processed. ​Never miss another update or video from Sarah Jackson again! I love to experiment with food, write, read, walk by the river, watch vintage TV dramas, good documentaries and comedy. Would You Like Fermented Goodness Direct to Your Inbox?